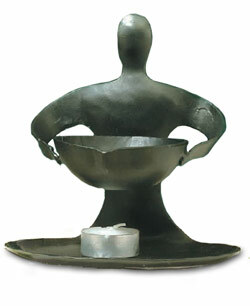 She stands six inches high and is made in India from hand forged recycled iron. You can use the Iron Goddess an an aromatherapy diffuser, with charcoal for resin, loose incense and herbs, or as a cone incense burner. 6" high by 6" wide.